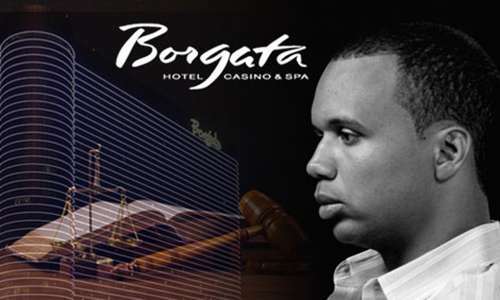 The legal battle between pro poker player and gambler Phil Ivey and New Jersey’s Borgata Hotel Casino & Spa, in which the Borgata seeks to collect a $10.13 million judgment in the high-profile “edge sorting case that was finalized earlier this year. While Ivey and his co-defendant, “Kelly” Cheung Yin Sun, have filed an appeal in the case, they have still not posted a required supersedeas bond in the amount of the $10.13 judgment as required by law. 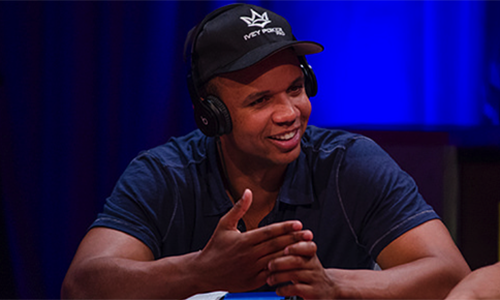 Now, after repeated attempts to force Ivey to comply with a mandated 30-day discovery window went unanswered, the Borgata has filed a letter with the case’s presiding judge, Noel L. Hillman, urging him to compel Ivey and Sun to comply with those unanswered discovery requests. The letter written by Borgata counsel Jeremy M. Klausner to Judge Hillman’s US District of New Jersey court comes as the Borgata also seeks to docket the original judgment in Nevada, where Ivey is alleged to hold significant assets. As of today, Defendants’ counsel has not contacted me regarding the unilaterally cancelled depositions or overdue discovery. I conferred with Defendants’ counsel in a good faith effort to obtain discovery, offering alternate dates and providing what Plaintiff believes was an extension of time for discovery responses. Still, Defendants did not engage in the required discovery. Instead, they are delaying further the execution of the Court’s Judgment against them. If Defendants want to stay execution of the Judgment, they easily can do so within the rules by posting the appropriate bond. They did not need to resist discovery or force Plaintiff to ask for Your Honor’s intervention. Absent a bond, Plaintiff is unquestionably entitled to discovery in aid of execution under Fed. R. Civ. P. 69 and requests the Court issue an order compelling Defendants’ compliance. On August 28, 2018, however, the Court entered final judgment, triggering Defendants’ obligation to respond to discovery in aid of execution. On September 20, 2018, Plaintiff reminded Defendants of the discovery responses that were due and issued deposition notices pursuant to [applicable rules]. Leave of Court is not required to take Defendants’ depositions for purposes of [cited rule and case reference]. The depositions were noticed for October 17, 2018. On September 26, 2018, counsel for Defendants requested that their discovery responses be due on October 20, 2018, giving them the full 30 days from September 20, 2018, rather than from August 28, 2018. Plaintiff agreed to the October 20, 2018 date if Defendants would confirm an October date for their depositions after October 20, 2018. Plaintiff otherwise agreed to a due date of October 15, 2018 if the depositions were to be conducted as scheduled on October 17, 2018 (in order to receive and review the responses prior to the depositions). My response to the request concluded “[u]nless I hear from you otherwise, I will calendar October 15, 2018 as the due date for the discovery.” Defendants did not to confirm another date for their depositions (or otherwise respond) and Plaintiff therefore believed discovery responses were due October 15, 2018. On October 12, 2018, I received a letter from Defendants’ counsel stating that he and his partner were both unavailable for depositions on October 17, 2018 and asking for a date after October 19, 2018. I responded the same day, offering October 25, 26, and 27 as available dates. Defendants did not provide responses to Plaintiffs’ discovery requests on October 15, 2018 or on October 20, 2018. On October 17, 2018, Defendants’ counsel’s office indicated Mr. Barbone [Ivey’s lead attorney] was available for depositions on October 25, 2018. On October 18, 2018, I responded, asking counsel to confirm that his clients would also be available. I did not receive a response. On October 22, 2018, I again asked for confirmation of the October 25, 2018 date. I did not receive a response. On October 23, 2018, I asked for confirmation a third time, as the scheduled date was only two days away and arrangements needed to be made. I received a response from Defendant’s counsel’s assistant stating “I apologize, I am still trying to get confirmation myself.” That was the last communication. Needless to say, the depositions did not take place on October 25, 2018. The battle between the two sides roars on.